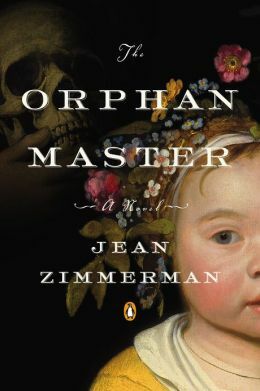 "The Orphanmaster" by Jean Zimmerman~Delicious Writing! In 1663 in the hardscrabble colony of New Amsterdam—today’s lower Manhattan—orphan children are going missing and residents suspect a serial killer. The list of possible culprits is long and strange. Among those looking into the mystery are a shrewd young Dutch woman, Blandine van Couvering, and a dashing Englishman, Edward Drummond, whose newfound romance is threatened by horrible accusations. In this spellbinding work of historical fiction, Jean Zimmerman relates the harsh realities of life in early Manhattan, re-creating the sights, smells, and textures of the rough settlement surrounded by wilderness and subject to political turmoil. Compulsively readable and filled with New York history, The Orphanmaster will delight fans of Caleb Carr, Hilary Mantel, and Geraldine Brooks. Throughout her writing career Jean Zimmerman has published critically acclaimed nonfiction that focuses on the changing role of women in America. Now, in her debut novel The Orphanmaster, she tells the story of a beautiful, determined female trader in 1663 New Amsterdam, the Dutch colony at the foot of Manhattan Island, who sees orphans go missing and decides to catch the killer before it’s too late. A love story wrapped around a murder mystery, The Orphanmaster draws on Zimmerman’s copious research into the history of early Manhattan. Her previous work, Love, Fiercely: A Gilded Age Romance, is a history that focuses on the lives of the great chronicler of New York City, I.N. Phelps Stokes, and his iconic wife Edith—preservationists, philanthropists, and denizens of Gilded Age Manhattan. Before that, her book The Women of the House: How a Colonial She-Merchant Built a Mansion, a Fortune and a Dynasty (Harcourt, 2006) was an Original Voices Selection, Borders, 2006, and Washington Irving Book Selection, Westchester Library Association, 2007. An honors graduate of Barnard College, Jean Zimmerman earned an MFA in writing from the Columbia University School of the Arts. She lives with her family in Westchester County, New York. Lovely, lush language! This is a novel like some you hear about that the words are so beautifully crafted and presented you can't help reading them. Ms Zimmerman is a wordsmith of the most unique. Her every description is dipped in silver. I found this a gorgeous, delicious read for that alone, not to mention everything else about the book. Characterization is just wonderful. Zimmerman's protagonist Blondine is rich in depth as a person. She virtually leaps off the page. So self-assured and so womanly in a Manhattan that is still wild and being controlled by powerful men. Amidst Native Americans and Free Slaves, as well, Blondine holds her own and is respected as an independent woman. She is awesome! And, her love story with Drummond is a rich and rewarding read. So heart-tugging! The mystery at the center of the novel kept me flipping pages, as well. I also have to admit a great fondness for the Orphanmaster, regardless of the fact that he was despicable most of the time. My curiosity kept me completely engaged, and I couldn't easily find out what happened to the missing children. This is a book you'll be surprised about. It's a hidden treasure. I loved reading it for the descriptions, the use of language and the history of New York/Manhattan. And, I thoroughly enjoyed the love story and the mystery. You'll find this a far cry from what seems like the efforts of a first time novelist. It's one of the best!! Gorgeous blog. Love your posts and reviews. Found you on the interview page of Examiner.com and wanted to stop by. I want to read this book...your reviewed makes me want to read it more. Thank you so much for you kind comments, Elizabeth! !